If, like me, you've been inundated with headlines about rising insurance premiums, soaring fuel bills, punitive emissions taxation and frankly ludicrous congestion charge pricing, you might well be looking to ditch your gas guzzler and switch to a titch and little cars don't come much more funky and fun than Citroen's C1. Affordable pricing from new has seen these cars sell like hot cakes with the inevitable effect of softening the used valuations. If you're looking for a low-mileage city scoot, you can't do a whole lot better than the C1. The C1 debuted at the 2005 Geneva Motor Show alongside two other suspiciously similar looking creations, Peugeot's 107 and Toyota's Aygo. Those in the know will realise that all three share a common platform, the companies spreading the costs of developing the cars between them. Of the three cars, the Aygo featured the most distinctive styling whereas the Citroen targeted the budget consumer. The Peugeot appeared to be left to pick up the pieces. 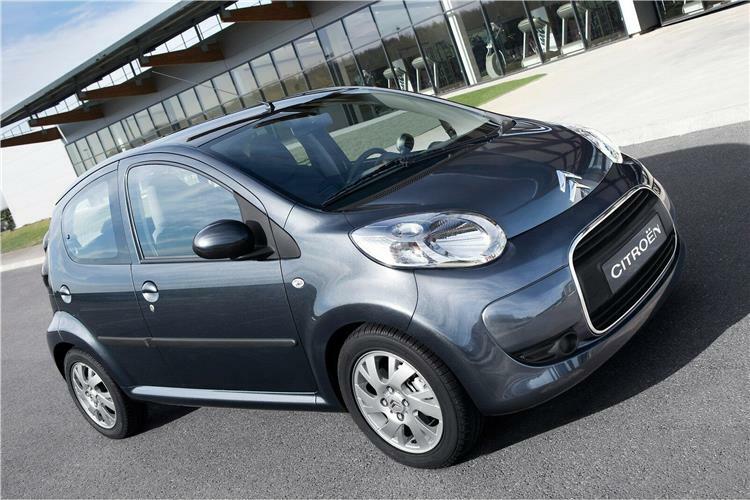 The Citroen C1 was also gifted a huge advantage in being the only one of the three cars offered with a diesel engine from launch, Toyota eventually adding a diesel in February 2006, giving Citroen eight months advantage in offering an oil burner in their citycar. 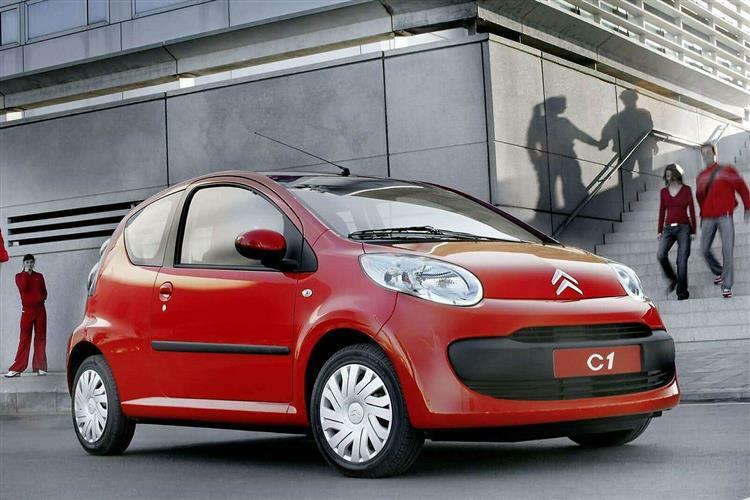 Unlike many tots, the C1 offers a choice of either three or five-door body styles. It also has an unthreatening and fun appearance with a face that looks as if it's either grimacing or grinning depending on the angle at which you view it. The wide wraparound bumper, the rounded bonnet and bulbous headlamp clusters may not endear the C1 to the sort of pimply adolescents who hang around McDonalds car parks and revere the C2 VTR, but it has sold well to those with a little less testosterone coursing through their system. The rear end is very nicely finished with a glass tailgate, big crystal and anthracite rear light clusters and a deep under-bumper assembly. The wheelarches are surprisingly beefy and the rear set are sculpted a little further forward in the three-door bodystyle. The five-door car sees its rear doors meet the rear light clusters in a very neat piece of packaging. Citroen has been regaining its reputation for bold and exciting interiors of late and the C1 continued that trend. The first impression when looking at the virtually symmetrical fascia is that this must have been a vehicle that was very cost effective to convert to right-hand drive but the design is neat and ergonomically sound. Headroom inside the car isn't at all bad, even for someone well over six feet tall and the big glass area up front gives an airy feel to the cabin. The rear of the three-door car is notably more claustrophobic and is really only suitable for kids and short journeys. Rear knee room in the five door car is little better but at least the car's beltline is a little lower, making it feel a little less hemmed in. The front seat backrests are hollowed out to provide a little more rear legroom for back seat passengers, but there really is only so much that can be done with a car with a 2.34 metre wheelbase. 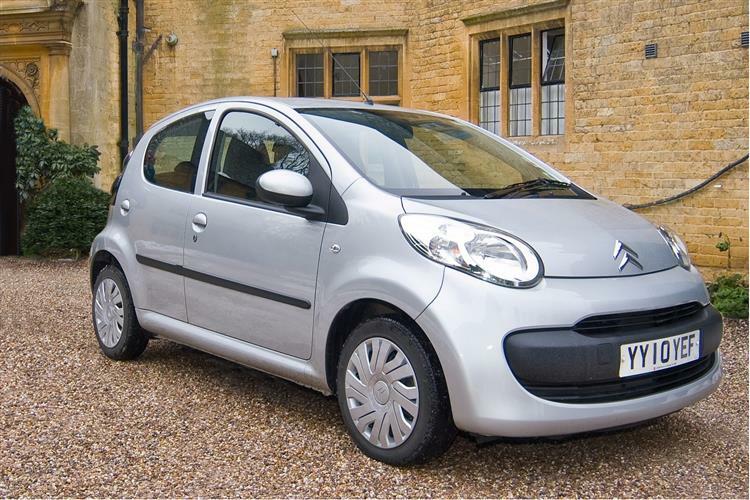 Citroen learned a whole bunch of lessons from their experience of MPV-style vehicles and the C1 offers no fewer than twelve storage compartments dotted about the centre console, dashboard and doors, with the door bins easily capable of holding an A4-sized atlas. Total luggage room with the rear seats in place is quoted at 139-litres, but drop the rear seats and there's an impressive 751 litres of space. This makes the C1 a car that can do more than just a light shop. The C1 hasn't had any major faults or serious recalls but do insist on a fully stamped up service record and inspect the car carefully for parking knocks and scrapes. The C1's plastic bumpers can shrug off some quite hefty scuffs without affecting their function but if there are abrasions use them as a negotiating point. The interior is very hardwearing. (approx based on a 2005 C1 Vibe 1.0) C1 spares are relatively cheap with an oil filter retailing at around £8, a starter motor retailing at around £90 and front brake pads costing a very reasonable £30 a pair. Parking at the supermarket for the weekly mission isn't going to present too many difficulties. At just 1.6m wide, the C1 will easily be able to take advantage of those awkward spaces next to the concrete columns that are so often rejected. What's more, at just 3.4m long, you'll probably be able to access the tailgate while still tucked safely into your bay, away from errant trolleys and distracted drivers. You get to choose between petrol and diesel but that's as far as it goes. The range starts with the entry-level 1.0-litre Vibe variant or there's a plusher Rhythm trim level that was £500 more from new. If you want a diesel, you have to have Rhythm and five doors. Plump for the green pump and you get a 68bhp 1.0i unit, while those looking for a diesel option get a 54bhp HDi engine. As might well be expected, both units are EuroIV-compliant and both return over 60mpg on the combined fuel economy cycle. Even in town, you'll be hard pressed to nudge below forty in the diesel. Five speed manual gearboxes are fitted as standard. 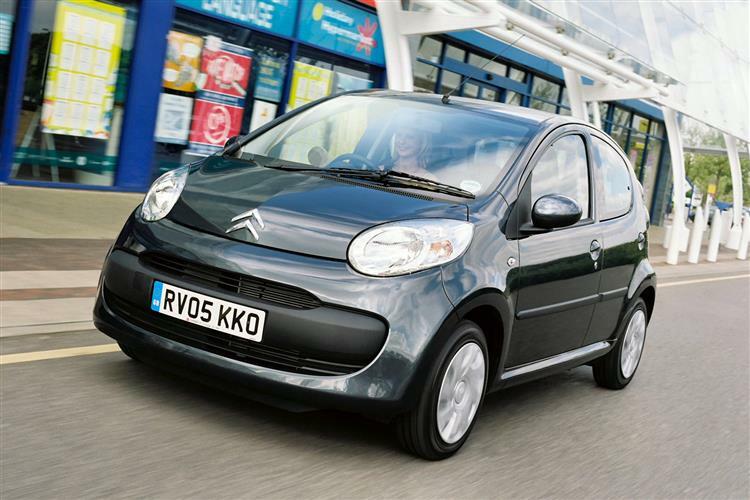 Of the Citroen C1/Peugeot 107/Toyota Aygo trio, the C1 has been by far the best buy if you're after a brand new car. It still represents the best value if you're after a diesel car although I'd probably plump for the Toyota if petrol power was a priority now that prices have levelled. Whichever C1 you choose, you'll end up with a cracking citycar and one which manages to make most of its rivals look old and limited.